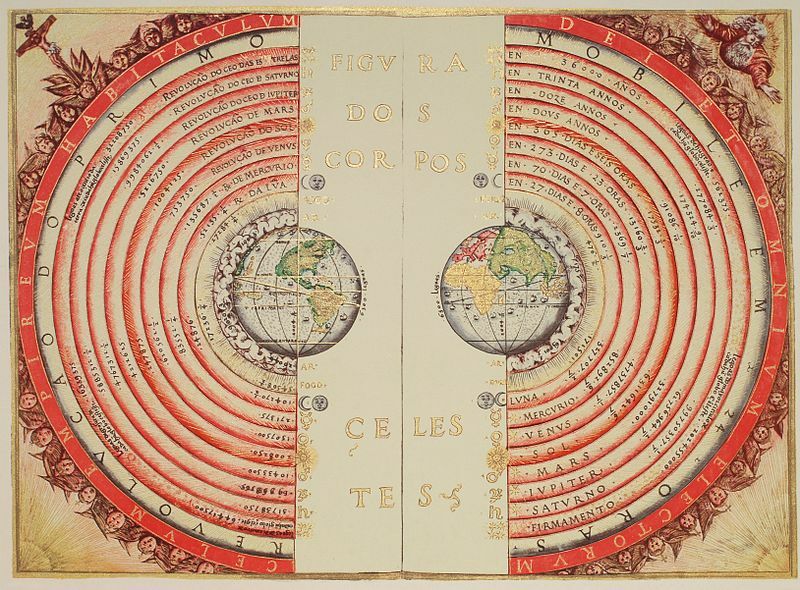 Figure of the heavenly bodies - Illuminated illustration of the Ptolemaic geocentric conception of the Universe by Portuguese cosmographer and cartographer Bartolomeu Velho (?-1568). From his work Cosmographia, made in France, 1568 (Bibilotèque nationale de France, Paris). Notice the distances of the bodies to the centre of the Earth (left) and the times of revolution, in years (right). The outermost text says: "The heavenly empire, the dwelling of God and of all of the elect"